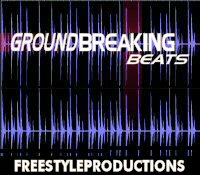 -GROUNDBREAKING BEATS- THIS IS IT, THIS IS THE ONE ALL YOU HIP HOP PRODUCERS HAVE BEEN WAITING FOR. OUR "GROUNDBREAKING BEATS" LOOP LIBRARY HAS FINALLY ARRIVED. 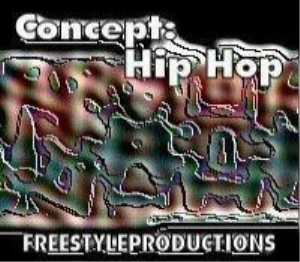 OVER 980 ALL-NEW RAP, HIP HOP AND R&B DRUM LOOPS AND DRUM KITS BY FREESTYLEPRODUCTIONS AVAILABLE AS AN INSTANT DOWNLOAD - 700MB (498MB ZIPPED). WE ARE A 3RD PARTY PRODUCER OF HIGH QUALITY SAMPLE LIBRARIES AT A COMPETITIVE PRICE. WHAT WILL YOU BE ABLE TO DO WITH THE LOOPS AND SAMPLES IN THIS LIBRARY? 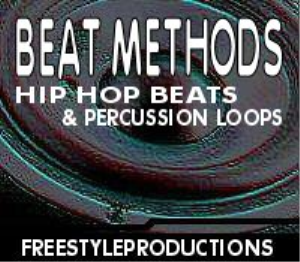 CREATE FULL HIP HOP DRUM TRACKS, STREET BEATS, RHYTHMS FOR RAP AND R&B SONGS, CUSTOMIZED BEATS........AND MORE!!! 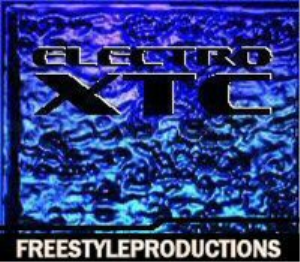 TAKE YOUR BEAT PROGRAMMING SKILLS TO A WHOLE NEW LEVEL WITH THIS EXCLUSIVE RELEASE FROM FREESTYLEPRODUCTIONS. CONTAINS A FULL 700MB OF NOTHING BUT PURE RAP, HIP HOP AND R&B LOOPS, NO ROCK, TECHNO, OR ANYTHING ELSE. THIS LIBRARY IS ALL ABOUT PERCUSSION FOR RAP, R&B AND HIP HOP!!! THE ROYALTY FREE LOOPS IN THIS LIBRARY ARE PRESENTED IN .WAV FORMAT, MADE TO BE COMPATIBLE WITH TODAY'S POPULAR LOOP-BASED MUSIC PROGRAMS, SOUND EDITING SOFTWARE, AND ANY SEQUENCER OR SAMPLER THAT ALSO ACCEPTS THE .WAV FORMAT. HARD HITTING BASS -- bassdrum loops, bass drops etc. HI HAT LOOPS -- add these to bass-snare combos to create a truly unique drum track. ONE-SHOTS -- percussion hits for r&b, hip hop and rap including layered snares, claps, shakers, bongos, cabasas and more. BONUS SOUND FX LOOPS -- add a little extra to your beats with these hot, new sound fx loops. BATTLE RAP, OR ANY TYPE OF HIP-HOP AND RAP GENRE IMAGINABLE!!! JUST A CD FULL OF ONE-SHOTS EITHER, MOST OF THE LOOPS ARE 4, 8, 16, AND 32 MEASURES LONG. BPM'S RANGE FROM 75-125. KEEP IN MIND THAT YOU CAN CHANGE THESE WITH MOST LOOP PROGRAMS. IF YOU DON'T RECEIVE YOUR DOWNLOAD RIGHT AWAY IN YOUR E-MAIL INBOX AFTER PURCHASE, PLEASE CHECK YOUR SPAM FILTERS OR JUNKMAIL FOLDER TO SEE IF IT'S IN THERE. FOR SOME REASON, CERTAIN E-MAIL CLIENTS WILL PLACE THE DOWNLOAD THERE.